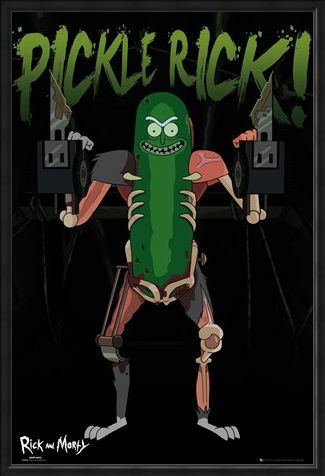 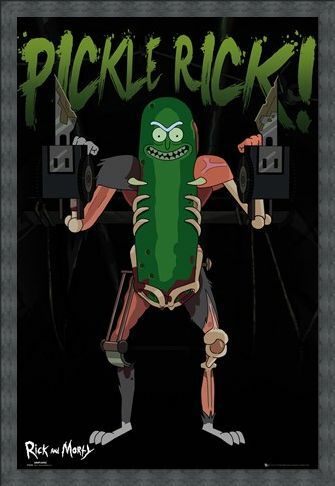 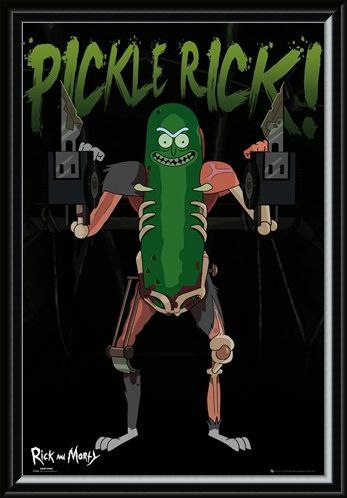 You don't mess with Pickle Rick! Possibly one of the most bizarre and intense episodes of the hit Adult Swim cartoon series, mad scientist Rick turns himself into a pickle - and all manner of drama follows! 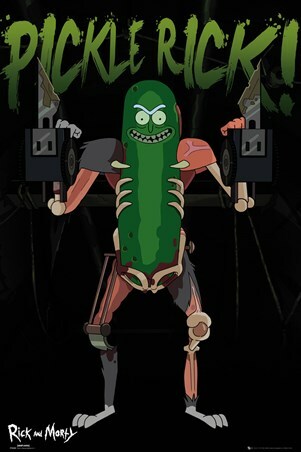 Formed of various rat body parts and make-shift weapons, this tiny titan is ready for battle, and boy does he love himself for it! High quality, framed Pickle Rick, Rick and Morty poster with a bespoke frame by our custom framing service.